Dropshipping store. Dropshipping suppliers. AliExpress ePackets. Best Dropshipping Products. Conversions! Do you have a function next week and you are still waiting for your order to arrive? Does it still take your AliExpress products to reach your customers after a span of 20 days or more? Are you encountering the fading enthusiasm of your leads? Well, gone are the days, when you used to sit back and curse them for “super-delayed” delivery of your products. For the Dropshipping suppliers, these days are using the magical wand known as “AliExpress ePackets”. Only if you want consistent traffic on your website- Search is the #1 driver of traffic to your dropshipping stores. What could be the possible ways to draw your prospects attention? Probably an on-time delivery of products? Faster shipping increases your Dropshipping conversion rates. The delayed arrival of a product leads to dissatisfaction of customers. Thus, lowering your conversions. Although with options like DHL, FedEx, TNT etc. spending $42.99 for a $13.46 shirt does not seem a profitable investment. With the revolutionary advent of the Internet. It’s such a great thing that a large number of eCommerce store owners are benefitting day by day. With so many marketplaces today, it is imperative to choose the right step. For a wrong move might end up hindering everything. Your role doesn’t end up in getting the most profitable niche to your dropshipping store. Rather, getting it shipped on time is also one of the major job roles. Shipping plays an imperative part in customer satisfaction and is one of the major aspects that’s being followed by most of the dropshipping suppliers and dropshippers today. Getting your products imported from China -> U.S.A. from an apt dropshipping supplier is indeed a deal. Thanks to the coming of ePacket shipping! With ePacket delivery coming into the scene, it now takes around 7 to 10 business days and is usually free of cost or costs hardly few dollars around $2-$3. Being said that, it is also important to note that AliExpress ePacket does not avail its services in every country. But Hey! Hold on, we have several other alternatives for you. Let’s enter AliExpress Epacket shipping and explore its every bit. The AliExpress ePacket cost may vary from one item to another. It is usually “free” in most of the cases. However, it might cost few dollars on some items. The screenshots below says it all. However, if you cannot find the AliExpress ePacket option for a particular product. Simply click the “drop down” arrow to see the various options and select the one of your choice. If you find that the supplier you’re using doesn’t offer free ePacket shipping, look for a competitor selling the same product who does. What is AliExpress ePacket shipping? The ePacket shipping is a popular form of shipping offered by China and Hong Kong to boost sales among the nations. The AliExpress ePacket is a shipping system mostly preferred by Dropshippers across the globe. The United States Postal Service (USPS) partnered with the Hong Kong Post in the year 2011 in order to greater its reach worldwide. Apart from shortening the delivery days of products, it also provides tracking for packages. 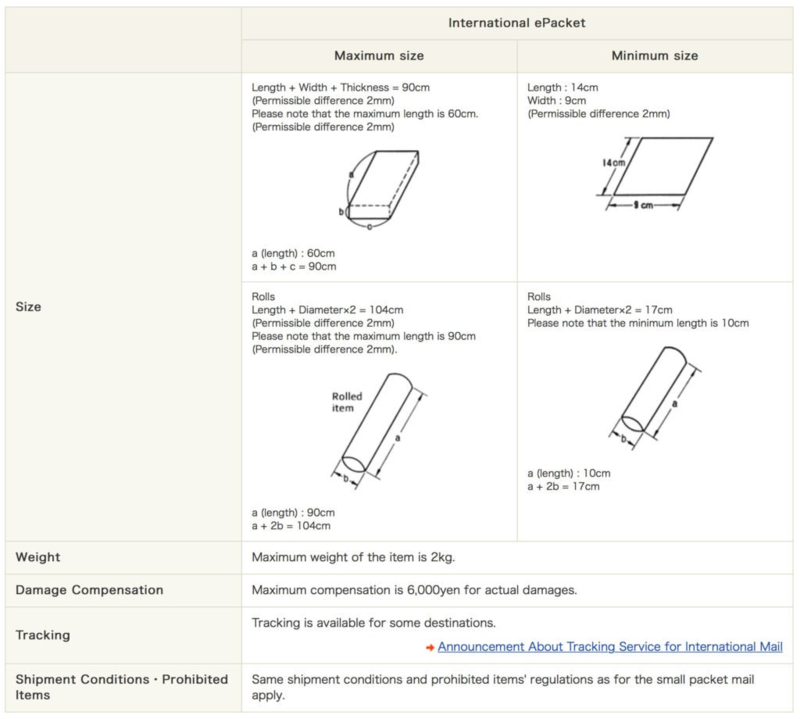 Your AliExpress ePacket delivery should encounter a maximum of 2 kilograms (4.4 lbs) package. It includes the product along with the filter material, the shipping box, mailer or any other packaging method. However, Israel is the only exceptional region wherein the packages being shipped to the country can weigh up to 3kg (6.6 lbs). Does AliExpress ePackets restrict packaging size? Well, Yes! The AliExpress ePacket regular packages should not have a length less than 14 cm and width less than 11 cm. A minimum length of 11 cm. is asked for rolled-up packages. Also, twice the diameter plus the length should be more than 17 cm (2d + l >= 17). However, if you encounter your packages smaller than the mentioned dimension. You can use a larger box and add in the filler material. What is AliExpress ePacket MAXIMUM PACKAGE SIZE? As per the norms, the longest side of a regular package box is said to be not more than 60 cm. One must adhere to these dimensions. Also, the combined sum of the length, width and height should not be greater than 90cm (l + w + h <= 90). When dealing with the longest side of a rolled-up package, it should not be more than 90 cm. Along with twice the diameter plus the length should not be more than 104 cm (ad+l<=104). The advent of AliExpress ePacket has cut down the long waiting tenure for product- delivery. Thus, benefiting the Dropshipping business in large terms. The “e” in AliExpress ePacket signifies its whole sole presence for the eCommerce industry in order to make the shipping processes quicker and more affordable for consumers. As stated earlier, the AliExpress ePacket has limited its services to some countries. Let’s have a quick look in all such countries where you can run your Dropshipping empire smoothly. *With zip codes starting from 01 to 95, Packages can be shipped to France. However, there is this other limitation with AliExpress ePackets that it cannot be shipped to overseas territories, including Corsica, Martinique, Reunion, French Guiana, Guadeloupe, St. Pierre and Miquelon and Mayotte. **There is this another country i.e. Spain, which is undergoing a test run and is not available in all cities for now. ***The AliExpress ePacket packages can be shipped to mainland UK, the Channel Islands as well as the Isle of Man. ****The AliExpress ePacket packages can be shipped to all territories, states, and different military addresses within the United States. 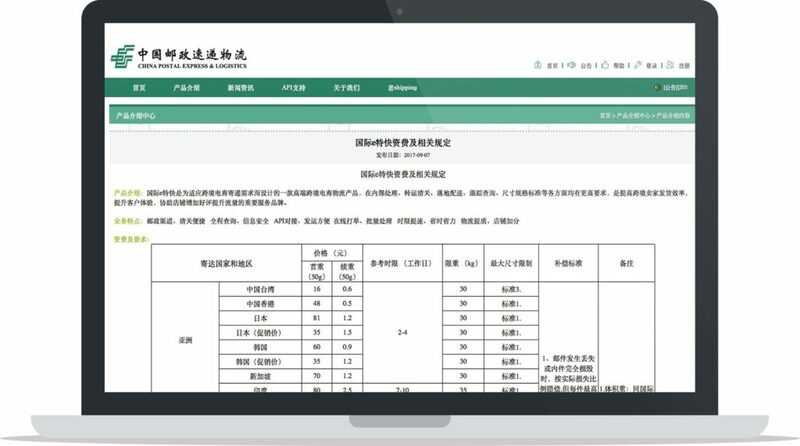 Source: China Post ePacket Fees and Regulations (Translate the page for better understanding, also let us know if the link is out-of-date). How about knowing the Pros and Cons of AliExpress ePacket? Would your customer want to spend $50 for the shipment of a $15 product. 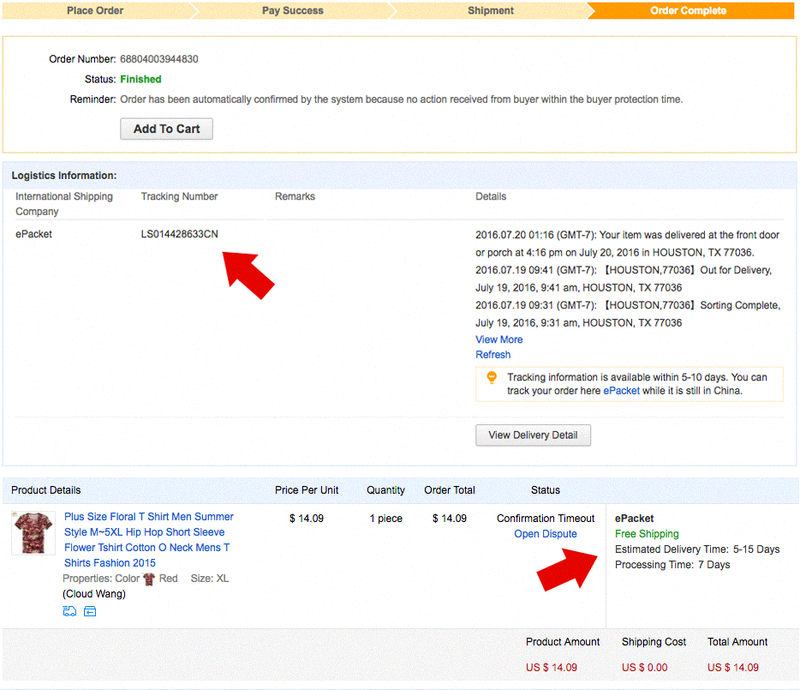 Leverage AliExpress ePacket and get your products shipped for free or only some dollars. Not every product can be shipped via AliExpress ePacket. No one wants to kill their excitement with the super delayed arrival of products. Few of the products offer to ship only to the United States. Trust us! You need it very badly, keeping an eye on your order is highly preferable. The AliExpress ePacket also encounter certain issues with its packaging styles, including weight and value of the package. How can you track AliExpress ePacket delivery? You can easily track your AliExpress ePacket shipment/delivery using a number of options. An uniques tracking/order code is generated for your product as soon as you place an order. Go to AliExpress. Hit on My Orders > Track ePacket. The AliExpress ePacket tracking feature helps your customer and gives them the confidence that you are not a scam website if the package takes more than 7 to 10 business days. Do make sure your customers are aware of the delayed delivery procedures by AliExpress beforehand in order to reduce the number of order cancellations and inquiries. Please take a note that few suppliers claim to provide AliExpress ePacket shipping. But take longer in shipping the item. To save yourself from such situations, manually check on AliExpress’ order page under the “View details” section to ensure that the correct option was applied to your order. Every other product that is shipped internationally is either taxed or have customs attached to them. As the goods are shipped internationally, they are put through custom clearances, which implies there must be some duty or tax attached to them and a majority of time is made to pay by the customers. As a dropshipper, it is a smart idea to ask the shipping merchants to be upfront about such costs. As it may lead to the order cancellation by the customer if put up on them. However, neglecting these tax-related news and laws might effect in adverse results of your business. For, it might end you with the tag of being a scammer. Are AliExpress ePacket and eExpress the Same Thing? The ever confusing “AliExpress ePacket and eExpress”. Let us get a bit closer, “eExpress is an extension of AliExpress ePacket shipping”. At times of bigger and heavier products and packaging- eExpress comes to your rescue. However, AliExpress ePacket remains at the top despite offering services and support to fewer countries. Quick services are loved by all and trust us a faster delivery of products will hike up your leads. No matter if you are asked to pay for AliExpress ePacket- “you still have a win-win situation”. You would still manage to gain a higher increase to ROIs. With a minimal amount of risk involved AliExpress ePacket shipping is worth trying. Since, it is a tried and tested method- popularly used by Dropshipping merchants across the globe. So go on, ask your suppliers in China and Hong Kong and dropship products internationally. With minimal risk involved with AliExpress ePacket shipping, it is worth trying out if you are planning on expanding. Dropship quickly with AliExpress ePackets.